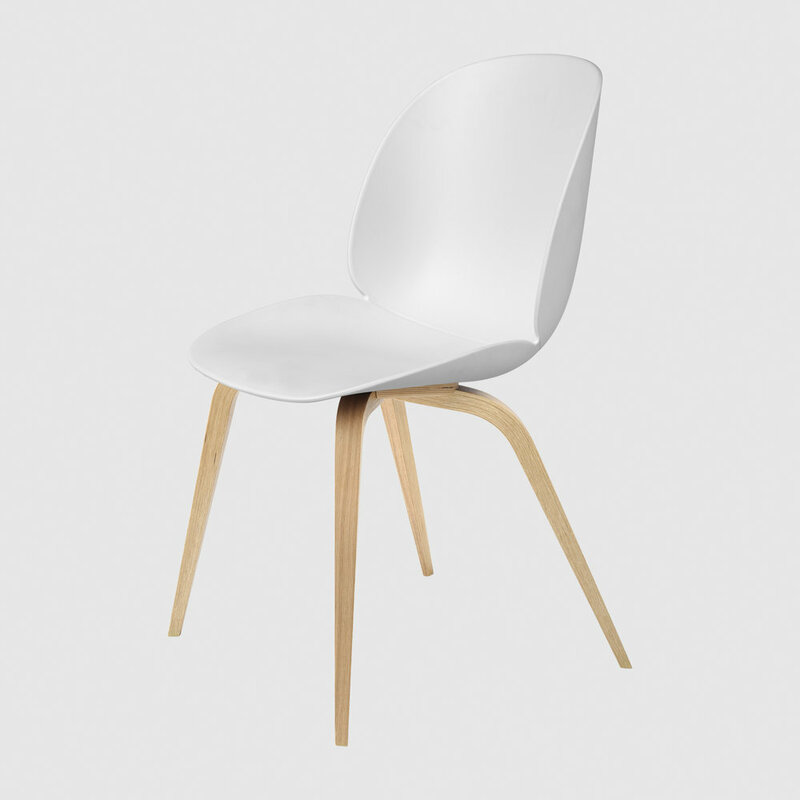 The Beetle Chair can fulfil your dreams of a personalised chair, specifically made for your needs and interior style. 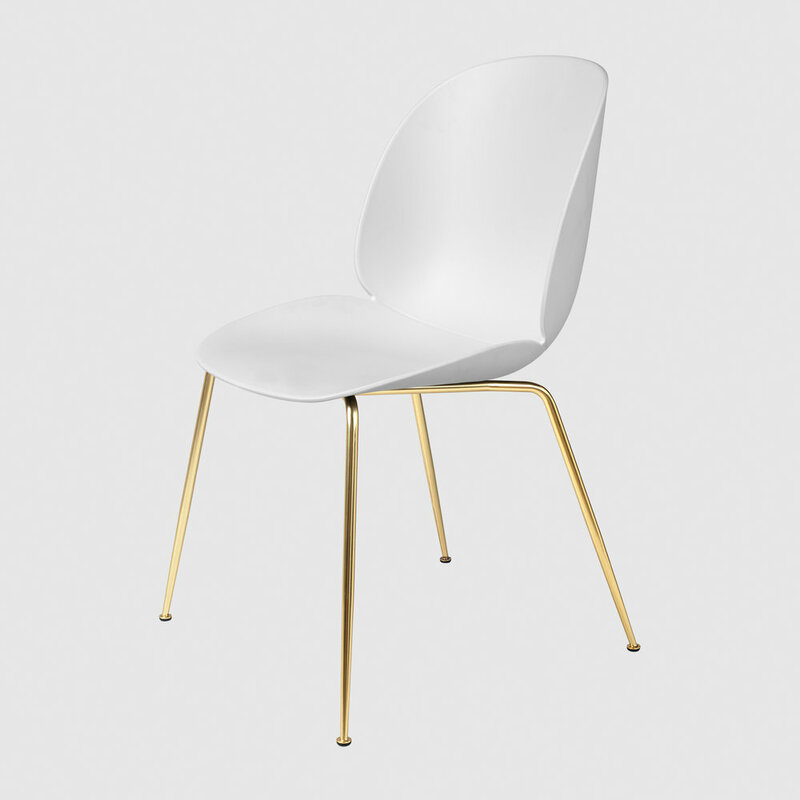 In few steps, you are able to design a bespoke chair manufactured by GUBI just for you. 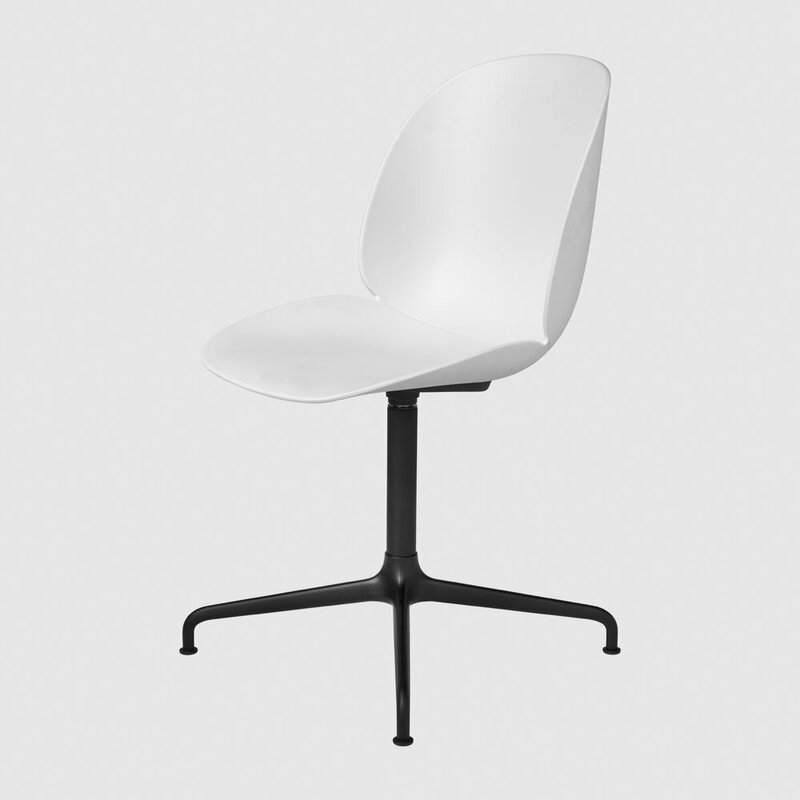 Select between an unupholstered, seat upholstered, front upholstered or fully upholstered seating shell in various colours and unlimited fabric and leather options. Select between conical base, wood base and casted swivel base in different colour and material choices. With the wish of offering the Beetle Chair to people in different stages of their lives and prolonging the chair’s life span, GUBI is pleased to introduce the modular concept, Beetle – For Life. The unupholstered Beetle Chair in polypropylene plastic gives the chair a light expression with notable durability at an advantageous price level. 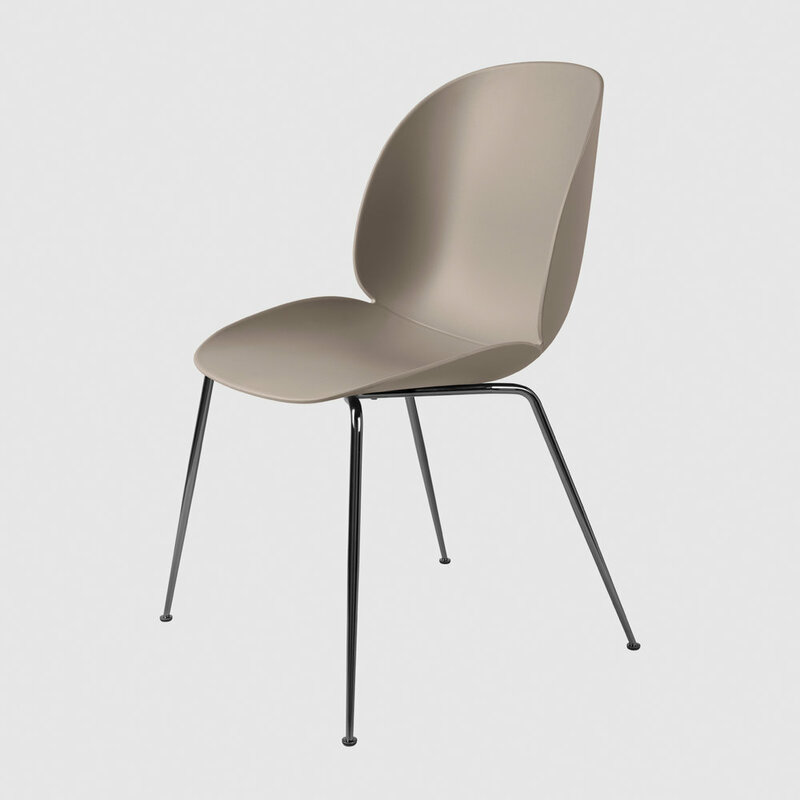 The chair’s subtle matte texture offers a soft tactility where its outstanding sitting comfort is obtained. The seven harmonious colours of the unupholstered seating shell may also be combined with seat or front upholstery to add an additional comfort and exude a personal adornment. Due to its unique design, it is possible to add partial or fully upholstery over time as well as change and upgrade legs and upholstery. 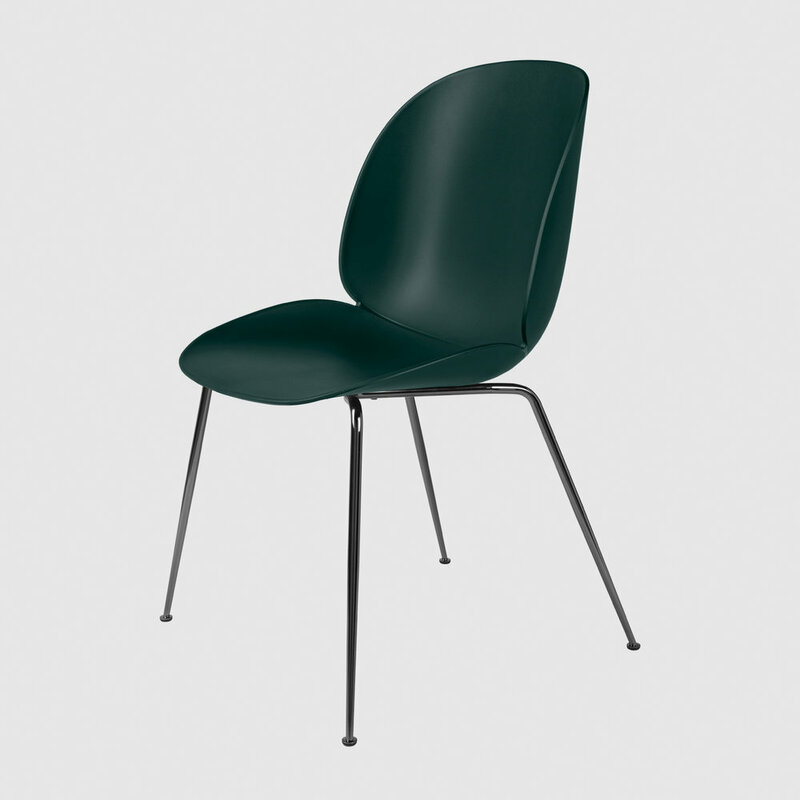 Give the chair a different expression and new life to the interior decoration – you are able to create a Beetle for life. Choose between the colours black, dark pink, blue grey, green, new beige, sweet pink and white.